Does your TV need conditioning? A device has been launched which is said to enhance the picture quality of your TV's HD signal, by simply making your mains supply 'noise free'. Called the ISOL-8 VMC1080, it's essentially a little black box which is designed to filter frequencies that affect HD and SD video signals. It offers, according to its makers, "a clean, stable and noise-free mains supply to any video display, to improve picture quality and protect against damaging voltage spikes." The VMC1080 can be used for all sorts of AV equipment – plasma, LCD, CRT TVs and projectors – and is said to reduce motion artefacts, improve contrast, produce more vivid colours, better image depth and, last but definitely not least, offer a sharper, more focused and less grainy picture. While results vary from system to system ISOL-8 does note that "users have always found picture improvements, often marked ones". 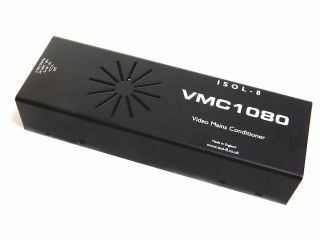 If you would like to try the thing out for yourself then the ISOL-8 VMC1080 Video Mains Conditioner is out now for £189. Go to www.isol-8.co.uk for more details.